We esteem God's word and find that the bible is packed with verses to help us and encourage us in life! 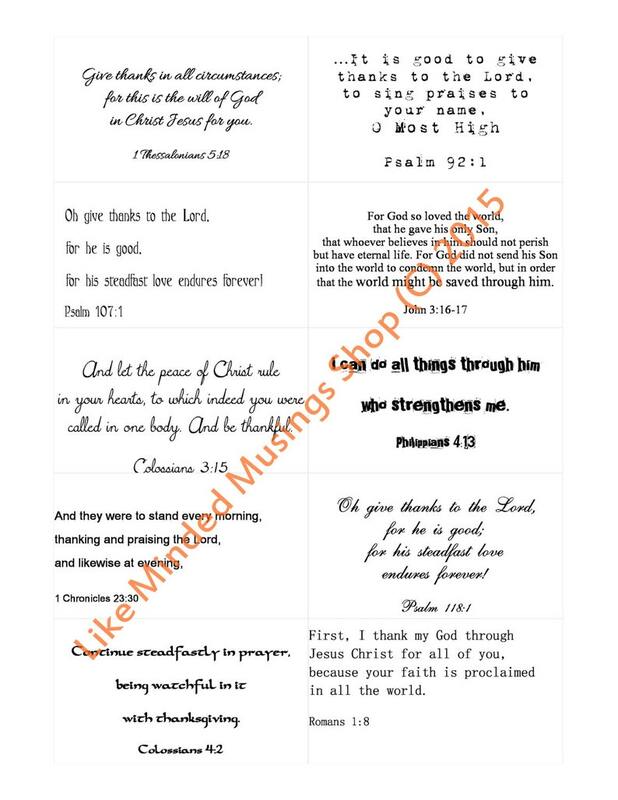 This is for one Instant Download Set of 30 Printable Verses that express Thankfulness! Each in a different, carefully chosen font, one-sided for easy reading. Each page is 8.5"x11" and individual scripture cards are business card sized which makes them convenient to stick anywhere! Print on your paper of choice or cardstock for added durability. 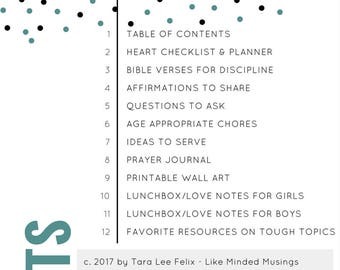 These cards are great for Bible Memorization, Homeschool Scripture Memory, Scrapbooking, DIY gifts, Pastor Appreciation, Bible Study Groups, Retreats, or a sweet encouraging gift for a friend or loved one! Simple design to go with any project! This is not a physical item! You will receive a digital file that you can print yourself at home. 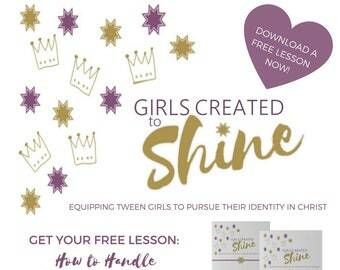 -Download, print the file and enjoy! It's as easy as 123! For Personal use only, no reproducing or re-selling, please. Create a great print for you or your loved ones or for that special scrapbooking or craft project you are working on! So amazing! So nice and very heartfelt. Gave this to my sister as a gift and she absolutely loves it. Thank you so much! HIGHLY RECOMMEND! transaction agreement or according to the terms in the seller's Shop Policies. -The seller may cancel a transaction for non-payment when applicable. Members with a low overall feedback score or those who routinely do not pay for orders may be subject to review, which can result in suspension of account privileges and/or termination. Need more time to pay?? Please just contact us and we will try to work with you. We try to be as detailed as possible when listing items. All items are handmade and some variation should be expected. There is no guarantee that the bible or dictionary prints will be printed on a certain page. Due to the nature of digital products no refunds can be offered. All custom orders are sold “as is”, no returns offered. If it is a regularly stocked item, and the item is faulty, we will gladly accept returns within 14 days. Upon receipt of the item in the same condition as sold to you, we will refund your paypal account within 2 business days. If you need to make a return please contact us we would be happy to work it out with you. Please give us the chance to make this a great transaction! Thank you for trusting us with your business! We are a smoke free and pet free home. Please feel free to contact us with any questions, we check our messages regularly. We aim to provide genuine, exceptional customer service to our buyers. Please give us a chance if you have any problems, questions, or concerns please convo us before leaving feedback. We will address your concerns and provide a suitable solution. We look forward to doing business with you!